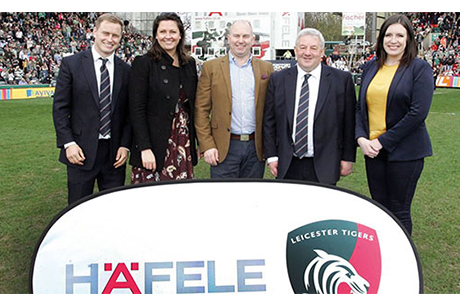 We are thrilled to announce that we are now the proud sponsors of the Leicester Tigers Wheelchair Rugby Team and partners with Leicester Tigers. The partnership kicks off this September, at the start of the new rugby season. With a wide range of assisted living solutions, we are delighted to be the lead sponsors of the wheelchair rugby team. We understand the positive impact that fit-for-purpose furniture can have on the lives of people, who could benefit from the support and additional functionality. Since their establishment in 2014, the Leicester Tigers Wheelchair Rugby Team has grown to be one of the sport’s most competitive teams and counts four Team GB members within its coaching and playing ranks. Our partnership with Leicester Tigers has seen the branding of the control tower, fondly known as ‘The Cube’, at the home ground of the Tigers’ first team at Welford Road. As part of this partnership, we also have our own corporate box, which has been refurbished into a one-of-a-kind space, specially designed using Häfele products and solutions to showcase how versatile a space can be; one of our key specialisms. With our Head Office based in Rugby, the hometown of the sport, the partnership is a natural allegiance for both the parties.